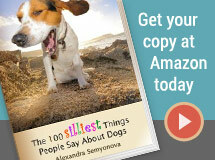 Animal behaviorist and author Alexandra Semyonova1 provides key safety rules and guidelines for owners of normal dogs. If you own a dangerous breed, please see our rules for dangerous breeds. The number one rule with dogs is: Build on trust, not on coercion or violence. A dog that fully trusts humans is the dog that is least likely to bite. Spaying or neutering your dog at an early age can lessen the risk of aggression problems at a later age. The optimal age lies between 6-9 months, especially with male dogs. The onset of testosterone production increases reactivity in male dogs. In some dogs, this can mean that they’re more inclined to seek rather than avoid conflict. After your dog surpasses 10-12 months, this suppression is less effective because aggression has had time to become anchored as a learned behavior. Removing testosterone later won’t remedy the learned behavior. In females, the first heat can be a traumatic experience because of badgering by male dogs. The female can develop a learned defensive reaction to being approached by other dogs. Spaying her later won’t change the learned behavior. Introduce your dog at an early age to visitors in the home, community parks, family and friends, the noise of playing children, busy sidewalks and other animals. Make sure these experiences are positive and not frightening. The more your dog feels sure and safe in a large variety of situations, the less chance it will feel compelled to bite. An unsocialized dog can bite because it feels threatened by new situations. All dogs need some daily physical exercise. This doesn’t need to exhaust them, but should make them pleasantly tired. Mental exercise is just as important, so the dog feels like it’s had some interesting experiences in the course of its day. Bored dogs are more inclined to destructive behavior than dogs whose life is active and interesting for at least an hour or two every day. It’s important to use reward-based methods and only voice reprimands when your dog does something naughty – no slapping, hitting or kicking your dog. Don’t get angry at mistakes, but instead try to help the dog understand what you want him to do. Provided you choose this kind of training, you can start when the pup is only 7 – 8 weeks of age. This kind of training also works well with adult dogs. And remember this: Reliable recall is the most important command your dog will ever learn. A dog who will unhesitatingly come to you when called can be taken out of developing dangerous situations; for example if you see the dog is becoming frightened or defensive, is heading for a busy street, is chasing a child or a cat, or is getting ready to go greet a dangerous dog. Do not let your dog wander the neighborhood. Even if you have a non-aggressive type of dog, experiences while wandering could teach the dog to be aggressive. Wandering dogs often get killed by traffic. If you want to have your dog out in the yard, be sure you have a fence that will contain the dog and that will protect it from whatever passes by. Electric fences can teach dogs to be aggressive to passers-by (because the dog gets shocked if he goes to greet them), and they don’t protect the dog from dangers that could invade your yard. If a dog leaves an electric-fenced yard in a moment of excitement, it will hesitate to return because returning will mean another shock. Chaining a dog is also not a good idea. The ability to regulate social space and the knowledge that it can flee if it feels threatened is important to dogs. If a dog can’t regulate its own distance from something that approaches, it may feel it has no choice but to bite. In some cases, the chained dog might feel it has to desperately defend itself. A Denver study published in 1994 revealed that biters were nearly 3 times as likely to be chained as unchained.2 In the past 10-years, many jurisdictions have adopted anti-tethering ordinances as well. Chaining may not even be legal in your city or county. If your dog is unfamiliar with a busy sidewalk or joggers, with a playground full of screaming children, a room full of unknown guests, do not expose your dog to these situations until you know they won’t frighten the dog. You can gradually train a dog not to fear such situations, but simply throwing a dog in at the deep end can lead to disaster. If you consider your dog a ‘family’ dog, understand that the dog still might have to learn that visitors are also welcome in the house -- not only family members. Do everything you can to teach your dog that humans are trustworthy and never dangerous. Make sure all of his experiences with humans are good. If in doubt, allow your dog to meet a new guest outdoors and become comfortable with that guest before going indoors together. Do not walk a dog too big for you to restrain. You do not have control of a dog if the dog can pull you off your feet or drag you where it wants to go. The same caution applies for letting your child hold the leash or walk the dog alone. Do not use a retractable leash unless it’s absolutely safe for your dog to lunge the full length of the leash away from you and for you to have one hand occupied by holding the box part. Many a dog has been run over because a retractable leash allowed it to dash into a street. Many a dog has run in panic when the owner dropped the box, fleeing ever further to escape the plastic object that was following it (the box). If the retractable leash gets tangled while meeting another dog, this can result in a fight that otherwise wouldn’t have taken place. It’s better not to do dog-dog greetings when walking your dog unless you know both dogs are good at greeting on-leash. Because they know they can’t flee if they need to, leashed dogs can be defensive when meeting new dogs on-leash. The same goes for letting children greet or pet your leashed dog. Many dogs enjoy socializing with their own kind at a dog park. However, dogs do not need to have dog friends to lead a full and happy life. Do not take your dog to a dog park if people bring dogs with aggression problems to that park. Instead, consider play dates with dogs you know behave normally around other dogs. Do not take your dog to a dog park if your own dog has aggression problems. Instead, make sure you do enough interesting things with him during the course of each day. The dog will be perfectly happy with this. Which Dogs Bite? A Case-Control Study of Risk Factors (1991), by Gershman K.A., et al. JC., Pediatrics, 1994. 93:913-7.